Oh well. I wish it is true. The Hairspray fever is still heating up on me. I'm listening to the Soundtrack right now and it still gives me the groove . Me and some online buddies just caught in a conversation about Hairspray. 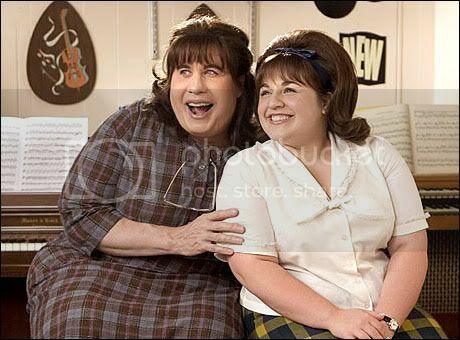 The conversation started when I show interest on playing Edna Turnblad if ever Hairspray will be brought here in Manila as a stage musical. Then one of us presented us with a list showing some of his local celebrity prospects to play a certain cast in the musical then the whole discussion starts there. This is so far what we all got. The original discussion is found here. Interesting. So did you audition for Edna? Hairspray is coming to Manila in November! For tickets, please visit TheaterLovers.